On November 28, 1990, 28 men in Inal, Mauritania, were hanged by fellow soldiers in a prison the middle of the night, meticulously selected one by one to be killed, after being accused of plotting a coup against the government. 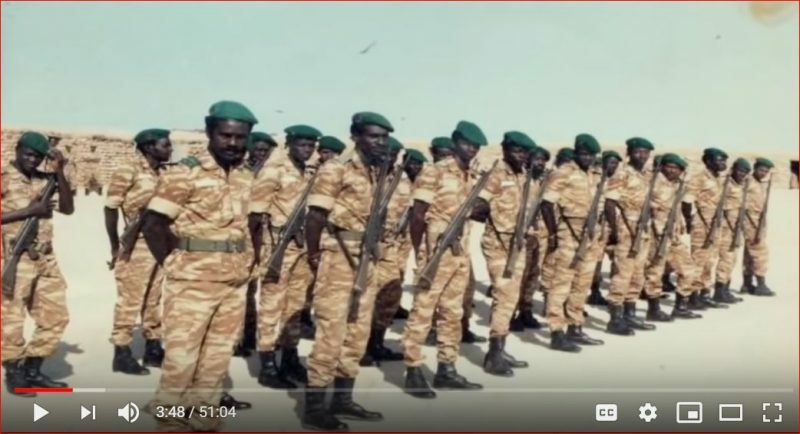 The date, which also marks Mauritania’s independence from France in 1960, continues to haunt some Mauritanians who seek justice for the brutal killings of these 28 men, all of whom were black. The West African nation of Mauritania is a mix of Arab-Berber and black Africans and human rights groups say black Africans have long suffered discrimination and exploitation. I want to make it clear that Inal is just an example; there were many ‘Inals’ in Mauritania. Horrific events happened in Azlatt, Sory Malé, Wothie, Walata, Jreida and in the valley. Inside the military compound in Inal and its surroundings, soldiers were quartered, buried alive, shot, and hung in celebration of the country’s independence in 1990. On Independence Day this year, Mauritanians paid more attention to the nomination of their national football team to the Africa Cup of Nations (CAF) finals than they did to the forgotten “soldiers [who] lay in solitude in anonymous pits … still waiting for a decent burial,” writes Kaaw Elimane Bilbassi Touré, news editor of the Mauritanian news site Le Flambeau. Each year, while the officials celebrate the ascension to sovereignty with joy, the victims’ families cry and protest in sadness for justice and reparations. The authorities are only trying to bury this hideous side of independence, just like when they secretly voted an amnesty law in 1993 affirming the state’s amnesia concerning the soldiers’ killings 30 years ago. Absolutely, a curse fell on the 28 soldiers that night. Like the two brothers, Diallo Oumar Demba and his brother Diallo Ibrahima, who were hanged wearing consecutive numbers written on them with a pen. What makes this sadder is having to witness your older brother’s death. The executioners did their work with accuracy, and were actually not stopping at the hanging part, but also dragging the dead and sitting on their corpses. In his book “Hell in Inal“, published in 2000, he describes the torture he suffered, when military commanders blindfolded him, tied him up, and threw him in dirty, stinking water. This year on November 28, Mauritanian immigrants protested in front of the Mauritanian embassy in Paris, France, against the state’s disregard for this tragic episode. As of October 2018, out of 24 ministerial functions, only five are occupied by black or mixed people, who represent up to 70 percent of society. The majority of the population are still under-represented among the elected representatives, members of the security forces, officials and local administrators. Mauritania is the last country in the world to officially abolish slavery in 1981 but it wasn’t enforced until 2007 and an estimated 20 percent still live in some form of enslaved servitude, most of whom are black or mixed.